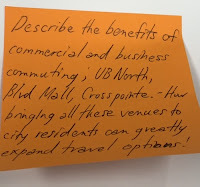 We hosted our public open house on June 11th and here's what you told us. In case you missed the last meeting, we're having another public open house on June 23rd at the Museum of disABILITY History. Come anytime between 6-8p.m. to hear about the progress of the study and provide your feedback. This evening is our public open house at UB Allen Hall. 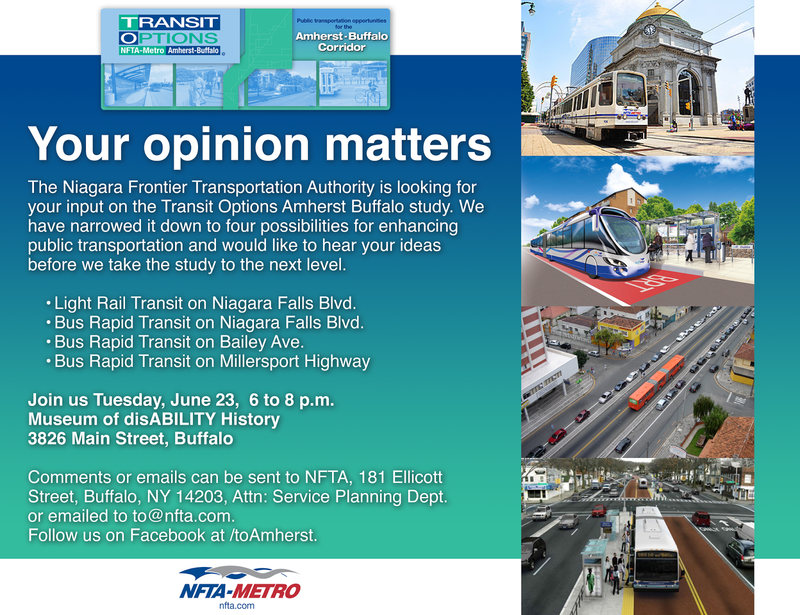 Stop in anytime from 4-8pm to learn about the 4 recommended alternatives and provide your input. 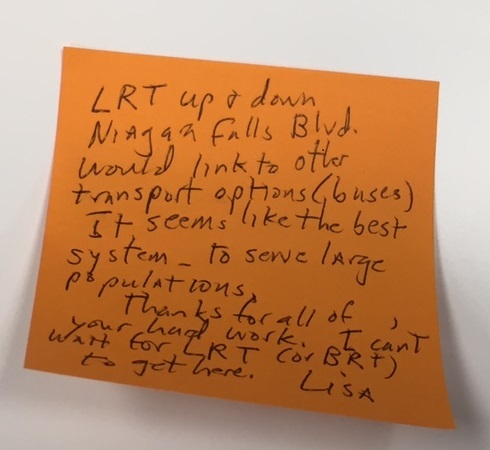 Here's a teaser - we're looking at LRT on Niagara Falls Blvd. and BRT on Niagara Falls Blvd., Bailey Ave., and Millersport Highway. If you can't make it tonight but want to be able to provide comments, no worries. We're having another meeting on June 23rd from 6-8pm at the Museum of disABILITY History. You can also leave your feedback here. We’ve completed the Tier 2 analysis and the results are in! 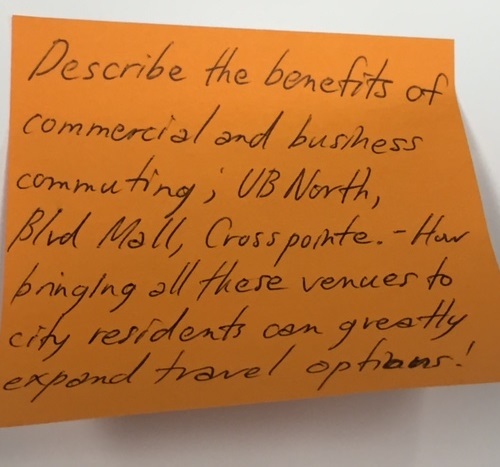 We’d like to get your feedback to make sure we’re going in the right direction towards a Locally Preferred Alternative we can all get behind. 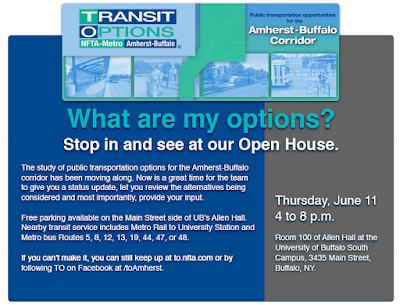 We're hosting an event on June 11, 2015, from 4 pm - 8pm at the University at Buffalo South Campus Allen Hall. This meeting will be an open house format and everyone is free to drop in any time to learn about the study, view presentation boards about remaining alternatives being recommended for further analysis, and most importantly, provide your comments to members of the study team. We would be delighted if you can join us! If you can’t attend please continue to follow the process here and be sure to leave your comments for the team.